Asheville Communications services, installs, and sells Moducom E911 Solutions. Known for reliability under stressful conditions, Modcuom systems will help your dispatchers communicate more effectively with all of your personnel. Browse the pages to the left for examples of systems we have installed around Western North Carolina. Contact us at 828.251.1243 to request details or a quote. For general information regarding Moducom products, visit their website by clicking here. Asheville Communications assembled, and installed the dispatch center for Madison County's new government building. The system has 5 consoles, dispatching most of the public safety entities in the county. 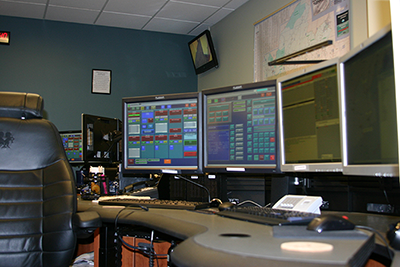 The system has a variety of capabilites, from controlling access to the dispatch center doors from the console, to communicating on one of many of the county radio systems from one interface. 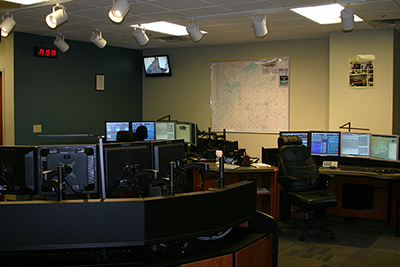 Each interface is customized to the dispatch center's exact needs. Visit the Madison County 911 website here. MOTOROLA, MOTO, MOTOROLA SOLUTIONS and the Stylized M Logo are trademarks or registered trademarks of Motorola Trademark Holdings, LLC and are used under license. All other trademarks are the property of their respective owners. 2019Motorola Solutions, Inc. All rights reserved.